Welcome to our 2012 craft challenge. 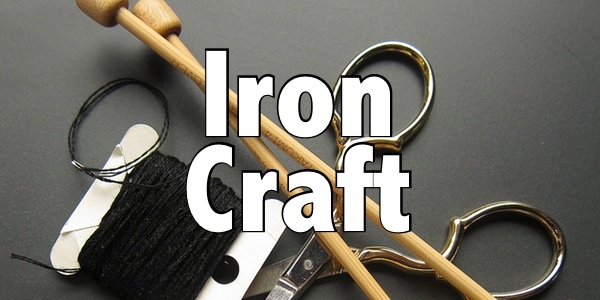 Susi and I have had a lot of fun hosting Iron Craft in 2011. We may not have done all 52 challenges, but it really inspired us to craft more and try new things throughout the year. We are ready to start a new year of challenges and hope you’ll all challenge yourselves and join in too! This year we’ll be changing things up a little. Instead of 52 challenges, we will have 26 and you will have two weeks to work on each one. A lot of people thought two weeks would give them more time to do either bigger projects or fit any project in their busy lives. Also posting day will now be on Tuesday and new challenges will be posted on Wednesday . Every other Wednesday, one of us will post a creative challenge*. You will have two weeks to complete a project based on that theme. The challenges may ask you to craft around a color or theme, use a particular material or even make a specific object. Every other Tuesday, we’ll spotlight the results of the challenge from our Flickr group. We’d love to have you join us for the year of what we hope will be a lot of fun. The rules are simple. Each week’s challenge should be done in the the two week period specified. Pictures of finished projects should only be posted on the Tuesday posting date though, workroom pictures can be posted throughout the two weeks. This is a friendly, supportive group and we ask that all comments on pictures and blog posts stay that way. Grab a button & put it on your blog. 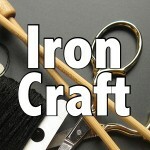 Watch for the first challenge to be posted on Wednesday, January 4, 2012 & start crafting! *Don’t worry we don’t expect everyone to be able to do every challenge but we’re certainly going to try to do as many as possible. 7 years ago by Kat in Challenges , Iron Craft | You can follow any responses to this entry through the RSS feed. You can leave a response, or trackback from your own site. Great! I have had such a great time doing the iron craft this year. 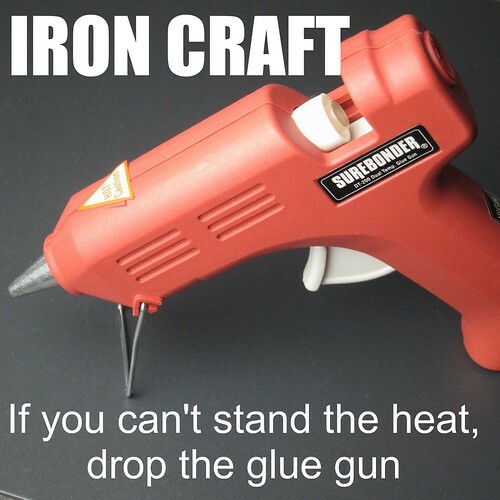 It has really pushed me to use up some of my crafting items I have. I will be looking forward to the new year and continue to particpiate. I do like the 2 week for each one, it is much more practical lately with my schedule. Yay!! works for me! I was hoping to do some larger things so a 2 week window sounds really good. Do I have to resent my info? Let me know if I do. Otherwise just count me in for 2012. I think those of us that did all 52 crafts should get a special blog button that says “I WAS crafty enough! Iron Craft 2011” on it! I’m psyched. Got the kidlet excited to participate too. Might have to do some modifications for her, since she can’t knit or use the sewing machine yet, but we’re both looking forward to it!